In addition to being the Artistic Director and Founder of Halcyon Chamber Choir, Hart Godden is also the Artistic Director of the Regina Philharmonic Chorus (RPC). Under his direction, the RPC has become known for their concerts of exciting and beautiful music, which have included works such as Carmina Burana, the Messiah, the Bach Magnificat, the Duruflé Requiem and the Jenkins’ Armed Man Mass. Mr. Godden also holds the position of Director of Music and Organist of Knox-Metropolitan United Church, where he conducts the Senior and Junior Choirs. As well, he has just started a new adult choir, Amici Singers, now in its second season. As a performer, he is often heard in concert with Tara Semple, flute, as the duo High F’lutin’. 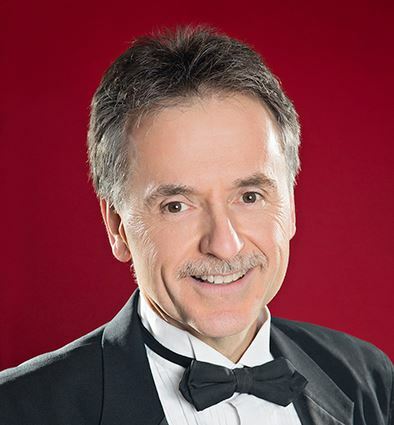 He also performs with the Regina Symphony Orchestra as organist and keyboardist. As well, he now appears regularly with the baroque ensemble, Per Sonatori, as harpsichordist and organist. Mr. Godden has also trained as a pipe organ technician, and works for Pipework, the Western Canadian representative for Casavant Frères Limitée. He has worked on numerous instruments in Canada and the U.S. As well, he maintains a music studio, where he teaches piano, organ, theory and harmony, and coaches vocal students in musical theatre. Hart grew up in Saskatoon, and completed an ARCT and LTCL in piano as well as a B. Mus. degree from the University of Saskatchewan. He then completed a Master of Music in conducting and a B.Ed. at the University of Regina. He also received an ARCCO from the Royal Canadian College of Organists. If you are interested in auditioning for Halcyon, contact Hart at 306-535-8565 or hartgodden@hotmail.com.